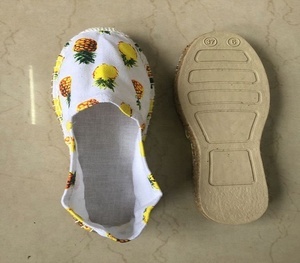 Ergonomics design soft PVC wear-resisting soles, good flexibility. According to market demand designed various colors Item No. Order:20-30 days after receiving deposit. Professional, Value for money We are directly manufacturer, no middle man which gives us a competitive price. Please kindly send us your logo file, tell us the size and color you need,we can help to adjust. 7, How many days you need to make order9 About 7-15 days after receiving your deposit. 4. High Density, Super hand-feeling, Warm,Handsome. Every month, there will be new designs come out. 5)If you are interested in our suit fabric, please feel free to let us know, we are glad to provide you more details. Factory price purple color african raw silk fabric indian george lace for lady garment Product type Top selling Dress Embroidery Designs george wrapper for africans orange Width 50~52" Material polyster Colors various colors or can be produced as customers' demand Usage garment, anniversary , craft etc MOQ 5yds each color Price reasonable price Package 5yards/polybag bag,15 yards/bundle,200bundles/container outer packing cartons Shipping UPS/DHL/EMS/TNT/FEDEX, By sea Payment terms Western union, Money gram, Bank transfer, Paypal Product Our company has been established for many years. We would like to introduce ourselves to you as a corporation, specializing in the export business of fabrics and we are glad to offer you our services as a trading firm, and would mention that we have excellent connections in the trade and are fully experienced. Packaging & Shipping Contact Company name: Hangzhou Taya International. CO.
Alibaba.com offers 2,081 indian ladies shoes products. About 18% of these are safety shoes, 8% are women's sandals, and 8% are women's slippers. A wide variety of indian ladies shoes options are available to you, such as rubber, tpr, and pvc. You can also choose from free samples, paid samples. 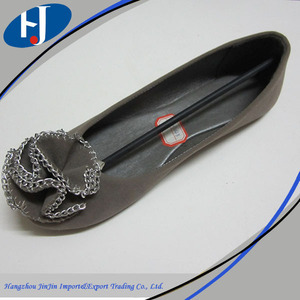 There are 2,010 indian ladies shoes suppliers, mainly located in Asia. The top supplying countries are China (Mainland), India, and Pakistan, which supply 55%, 43%, and 1% of indian ladies shoes respectively. Indian ladies shoes products are most popular in Western Europe, Africa, and North America. You can ensure product safety by selecting from certified suppliers, including 351 with ISO9001, 259 with Other, and 87 with ISO22000 certification.